OMG Posters! » Archive Methane's 10th Anniversary Gallery Show - OMG Posters! Wow, pretty hard to believe it’s been ten years. 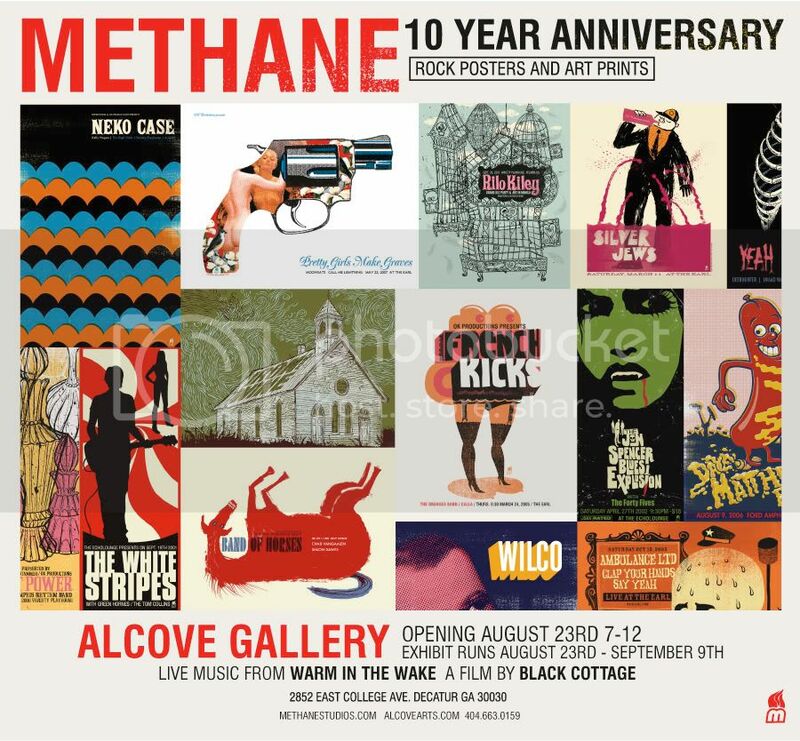 Methane Studios will celebrate a decade of existence with an art show at Alcove Gallery in Decatur, GA. The opening is August 23, an event that will feature plenty of art, a film, and live music. The show will run through September 9. Visit AlcoveArts.com for more info. Anyone going to this, should be a good time. 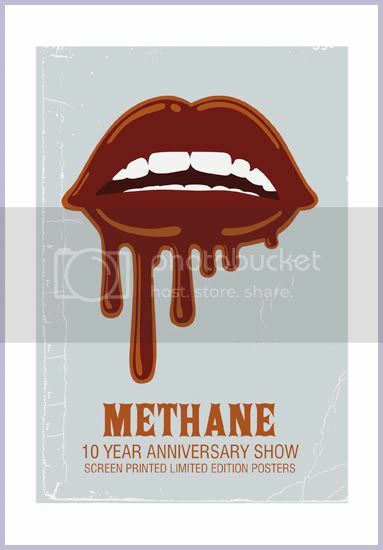 Methane has some real nice prints in their collection. i’ll be there, i cant wait to see if they sell that white stripes print and what they’ll want for it.